Engraved with company logo order the Zentrio Triple Function Metal Pen. 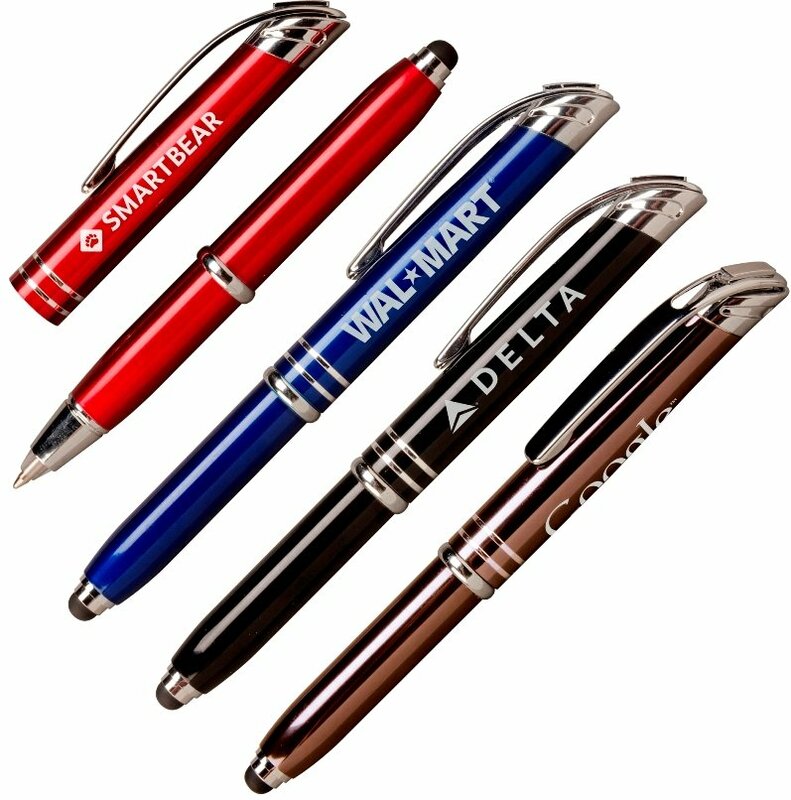 Apps are promotional metal pens, custom metal pens w/ company logo. Features are all metal pen construction, stylus to light to a writing pen. Powerful single LED light built in at pen tip, chrome clip - highlights. Metal Pen Colors: True Red, Blue, Corporate Black, Gunmetal. Available with Black Ink pen cartridge only for this metal pen. Price includes a laser engraved logo in area 1 1/2" w x 1/2" h.